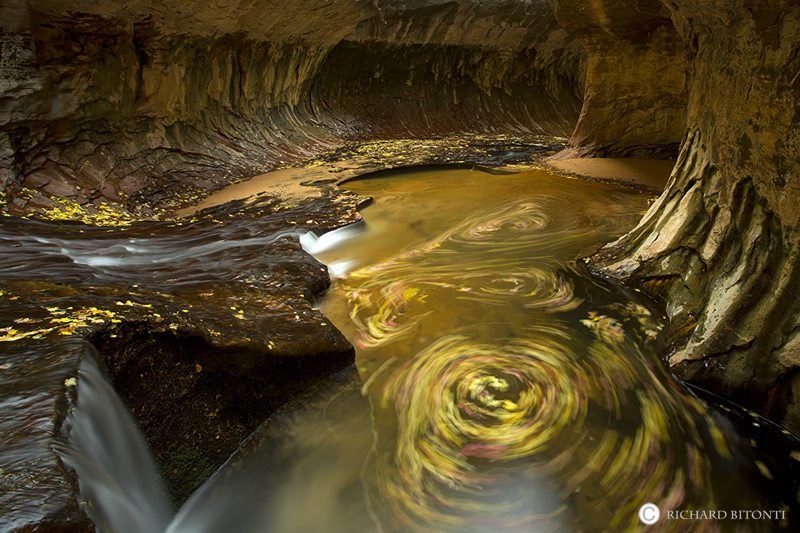 Fallen leaves swirl in the clear waters of "The Subway" in Zion National Park. The Subway is a beautiful semi-technical slot canyon in Zion National Park. To complete the hike you wade/swim/scramble/climb down the Left Fork of North Creek, in the Kolob Terrace section of the park. The stream is the trail for most of the route. Some of the holes are deep enough that you do have to swim, and the water is cold. Photo © copyright by Richard Bitonti.